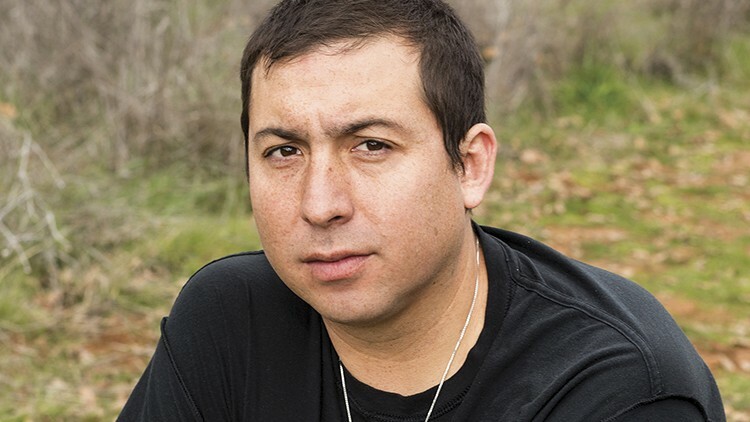 The debut novel explores the weight of Native American existence in a changing Oakland. Tommy Orange wrote tales from a dozen different perspectives in his book, but they share a sense of anguish and alienation. Perhaps the most well-known reference of Oakland comes from a famous quote from Gertrude Stein. "There is no there there," Stein, who grew up in Oakland, wrote in her memoir, Everybody's Autobiography. The line has proliferated in its usage over the decades, been disfigured into something different, and shoved into some other context that writer Tommy Orange takes issue with. Born and raised in Oakland, Orange, 36, titled his astounding debut novel, There There, out of Stein's quote. "A lot of people have used it over time as if she was saying Oakland has no character or soul or distinction or defining qualities," Orange said from New York, amid a whirlwind of press for his book that has electrified the literary world. "If you take it out of context, you can use it that way if it's convenient for you. It justifies gentrification in a way. If you don't feel like there's a soul of a place, it's easy to move into it and take over." But Stein essentially meant the opposite, referring instead to her childhood version of Oakland and how it had been developed over. The phrase serves as an appropriate title, not just because Orange's book primarily takes place in a changing Oakland. It also relates to the history and the weight of Native American existence of the novel's dozen characters, whose lives intersect in various ways as they make their way to the Big Oakland Powwow. "Our way of life and the way we existed before — in a way there is no there there, also," said Orange, who now lives in Angels Camp and is an enrolled member of the Cheyenne and Arapaho tribes of Oklahoma. "But we're trying to find a way to survive and continue on, and have an identity and have a way of life and a relationship to each other and to the land." There There presents, with magnetic verve, a bold paradigm shift in Native representation, that of the "urban Indian," where the structures of city are situated not only as the site of displacement but also as home. "I just haven't seen reflected in literature or film anything resembling the kind of Indian I am, the kind of Indian from the city," Orange said. Representation is typically reduced to the "Indian head," the stereotype of the forlorn Native in a headdress, staring off into the distance, which Orange addresses at the start of the book's prologue. "That's part of the reason I had a big cast," he said. "Because I wanted to express a range of generations and of different types of people — as a way to resist erasure through this monolithic way of thinking of us as a people." Orange is not alone in revolution, he notes. Writers like Layli Long Soldier, Tommy Pico, and Terese Mailhot, along with the Institute of American Indian Arts, where Orange and Mailhot graduated and teach, are part of what feels to him like a shift to new, honest, and radical portraiture. In There There, Oakland characters, whose individual viewpoints make up each chapter, travel to the Powwow carrying varied motivations and histories: a grandmother in recovery looking to reconcile her past, the eldest of three young brothers hoping to connect with his Native identity, a troubled teen roped into a sinister plot that comes to a head in the book's powerful closing act. Yet these separate tales share a sense of anguish and alienation, often borne of broken homes and violent pasts, but also from something they may have never directly experienced — a loss that feels innate, yet unidentifiable. "There's an American story that Americans tell themselves about Native people and about oppressed people — and it's going away and it's changing — [that] we all start from zero and pull ourselves up by our own bootstraps," Orange said. "We inherit pain and we inherit money and we inherit power. Native people just happen to have a lot of complicated pain that we inherit just coming into this whole thing, on top of the fact that we're under systems of oppression that affect the way we live." Orange based these characters on threads of himself, but this isn't to say he grew up in torment. "I grew up on a street with six other biracial kids, so it didn't feel weird to me to have this 'both halves' thing," said Orange, whose father was Native and mother was white. He was proud to call himself Native, but also felt like there was a war at home. His mother, a Christian Evangelical, battled with his father, who was part of the Native American Church, creating a spiritual rift whose implications of eternal damnation felt like the "highest stakes" in constituting a sense of self. But mostly, knowing just one other Native family, he had no context to emphasize a Native identity. It wasn't until his twenties after graduating from Expression College in Emeryville with a degree in sound arts that Orange began personally grappling with the larger themes of the book. He came to reading and writing late after taking a job at a used bookstore, and eventually began finding the Native community in Oakland when he worked at the Native American Health Center. That community is still there, though he is sure it's changed — the "there there" of Orange's own childhood and young adult life has completely changed. "It feels like we're being sold out or sold to the highest bidder," he said. Orange compares the changing shape of Oakland to a sort of Gilded Age, its gleaming new surfaces concealing the rotten truths underneath. But he said he may move back with his wife and son, depending on the upcoming year of chaos that follows universal literary acclaim. "Oakland will always feel like home to me," Orange said. In the meantime, he has begun to work on his next books, including a semi-autobiographical family novel and a short story collection populated by a host of Native characters in the Bay Area. There's another parallel in the novel's title, in the very notion of marred context. Just as history rewrote and distorted the truth of Stein's original words, so has been done to the past and present realities of indigenous people. Fri., June 15, 7 p.m., East Bay Booksellers, 5433 College Ave., Oakland, EBBooksellers.com. The award-winning cinematographer's new video installation premiers at the Berkeley Art Museum & Pacific Film Archive. The Oakland cartoonist explores the power of musicals and reality TV in her new graphic memoir.